Throughout his life, Dr. Danylchuk has been on a personal crusade to ensure that fish are around for future generations to enjoy, whether on the end of a fishing line, on a dinner plate, or simply to watch in wonder. Fishing with his best friend kept him out of trouble (mostly) during his formative years, and what naturally followed was a university career focused on fisheries and aquatic sciences. Soon after moving to the Turks & Caicos Island in 2000, Dr. Danylchuk taught himself how to fly fish, and he first fish he ever caught on fly was a bonefish on a shrimp pattern he tied himself. This was also when he first reached out to Bonefish & Tarpon Trust and began conducting research on bonefish. Andy then moved to Eleuthera in The Bahamas where he helped conceptualize, build, and run the Cape Eleuthera Institute. During his time on Eleuthera, Andy and a group of colleagues conducted a considerable amount of research on the catch-and-release of bonefish, as well as undertook the first study revealing that bonefish formed large pre-spawning aggregations and then moved offshore to spawn. Dr. Danylchuk is currently an Associate Professor of Fish Conservation at the Department of Environmental Conservation at UMass Amherst. Based on his collective efforts on bonefish and other flats species in places such as Culebra, Puerto Rico, Christmas Island, and additional work in The Bahamas, Andy became a BTT Research Fellow in 2014. Since that time, Andy has been the lead/co-PI on several BTT supported projects, including the current efforts to look at the movement patterns of Atlantic tarpon in the SE United States, as well as permit in the Florida Keys. To help broader efforts related to fish conservation, Andy is a Member of the Science and Policy Committee for the American Fly Fishing Trade Association, Member of the International Game Fish Association Scientific Advisory Panel, Board Member for Indifly (Foundation), and Fellow National (’16) for The Explorers Club. He also serves as an Ambassador for Patagonia, Thomas & Thomas Fly Rods, and Sight Line Provisions. 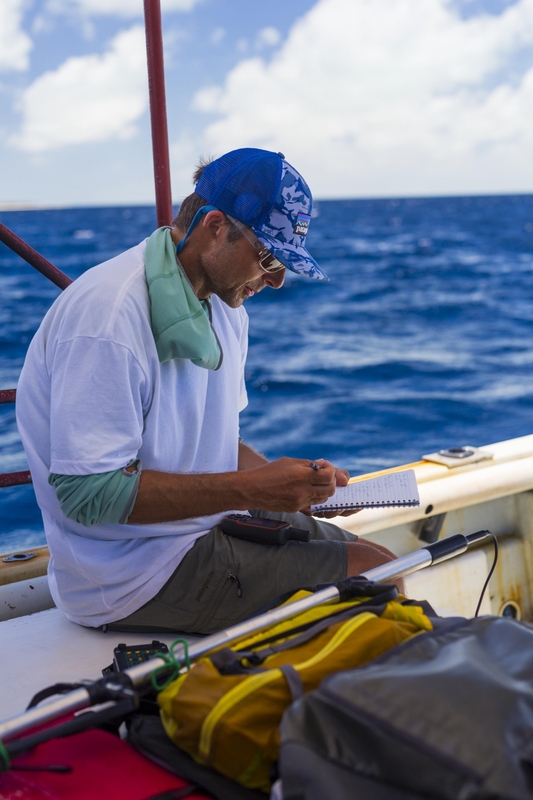 Andy has also received a distinguished teaching award at UMass Amherst and most recently an award for Excellence in Public Outreach from the American Fisheries Society.